11.34mm x 16.86mm / 0.447in. x 0.664in. 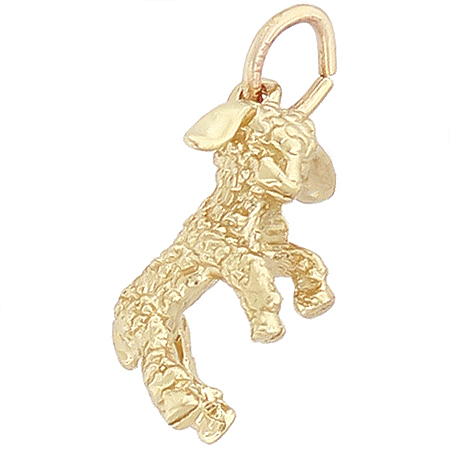 Lamb Charm by Rembrandt Charms. The height is 5/8 of an inch. The Lamb Charm may be symbolic to you based on your religious beliefs or this young sheep just might be an animal you adore. This Lamb charm can be placed on a necklace or will be a wonderful addition to a Charm Bracelet. All Rembrandt Charms are available in either silver or gold.